The legendary branch rooted trait combined with a proven late timothy for optimum yields under less than ideal soil conditions and variable drainage. A premium Dairy Hay mixture combining a first class multifoliate alfalfa with a very late Timothy for peak production under optimum conditions. A grass based hay pasture mixture for a longer rotation. *Coarse seed available separate on request. Produces a very dense stand. Excellent disease resistance and winter hardiness. An alfalfa based mixture to produce high quality and nutritious hay for all uses. • Produces highly palatable and highly digestible hay to increase milk production. A premium quality hay pasture mixture. Formulated with fine seeded species for easier planting. Premium high yielding grass/alfalfa mixture. Varieties chosen have performed well in OMAFRA trials. A combination of timothy and clover to provide hay where acidic soils might exist. TIP: Do not use mixture for horse hay or pasture. For rejuvenating forages to restore productivity and enhance pasture or hay fields by overseeding or frost seeding for long term renovation. The ideal time to frost seed is in the very early spring. A broad based grass mixture designed to produce fresh, tender forage throughout the grazing season for all types of horses. Persistent pasture due to Forage Type Kentucky Bluegrass which is a sod forming grass that can withstand heavy grazing and hoof traffic. Specially designed for lower ground that will produce grass hay for livestock and productive pasture throughout the entire growing season. Designed for heavier, wetter soil types where alfalfa may be difficult to establish. An inexpensive short term option for thinning pastures or hay stands. Extends the life of your stand. Improves yield and forage quality. A quality pasture mixture that can be used for hay. All seed will go through fine grass seed attachment on drill. Ideal for optimum palatability and digestibility. Survivor Alfalfa adds increased protein and nutrition. For long term pasture that will last for years if properly fertilized and maintained. A grass/legume blend to provide productive pasture throughout the entire grazing season. Versatile pasture mixture suited for a variety of soil types and conditions. A versatile pasture mixture that provides grasses and white clover maturing at differing times to always provide quality forage. Quality forage for sheep and goats. Contains soft leaf fescues and grasses making it extremely palatable. A diverse blend of grasses that works well with legumes or can be planted by itself. Will do well on light to medium soils. A blend of medium and late maturing varieties that will work well for haylage or dry hay. Much better regrowth than timothy or smooth bromegrass. A quick establishing mix that makes an excellent addition to alfalfa or red clover for haylage. Good choice for a 2-3 year stand. An attractive long-term, low maintenance ground cover. Equally useful for naturalizing open areas or for stabilizing slopes. Combines a low-growingperennial legume with a sod-forming, non-aggressive grass. Trefoil produces an abundance of yellow flowers, and reseeds itself, thickening up in time. May be maintained at 6-10 inches, or left to grow to 18 inches. 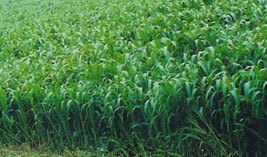 A long-term grass mix to hold the soil on slopes for areas that will be used for hay or pasture. Ryegrass will get started quickly to hold soil while the other species get established. and alsike clover that can survive in wetter locations. A very diverse mix that appeals to a range of pollinators with annual and perennial species. Plant heights range from 6” to 4’+ and is designed for larger areas where a low maintenance cover is desired. Not recommended for small flower beds. Can be mowed in the establishment year to control weeds if needed before the desired species get too tall. Our forage specialists will help you to select the best varieties to formulate a forage or cover crop mixture specific to your needs and goals, creating high quality blends for local soil and climate conditions. Coarse seed can be kept separate if needed to make planting easier (please specify when ordering). *Please Note: All legumes (alfalfas, clovers and trefoils) in our stock mixtures have a pre-inoculated seed coating to aid in germination and stand establishment. Please refer to Nitro-Coat® on page 14 in this catalogue for more information. Watch this video to learn more about Nutrifiber. NutriFiber technology was developed by Barenbrug for today’s modern dairy farmer. This trait has been incorporated into forage grasses developed for on-farm production. NutriFiber provides the highly digestible effective fiber today’s cows need. NutriFiber forages are ideal components for balancing the rations of high producing dairy cows. Typically Total Mixed Ration diets that are designed for maximum milk production are high in Non Fiber Carbohydrates (starches and sugars) which can lead to Sub-Acute Rumen Acidosis. Nearly 10 years of research have gone into the development of NutriFiber technology. NutriFiber has been tested and proven in university research trials and on progressive dairy farms around the world. All fiber is NOT created equal! Unlike many fiber sources, NutriFiber is highly digestible. The Total Tract Neutral Detergent Fiber Digestibility (TTNDFd) index developed at the University of Wisconsin permits comparisons of fiber analyses from different forages. The TTNDFd provides better predictions of milk production from fiber analysis and shows that NutriFiber forages supply higher energy due to their high fiber digestibility. Please contact us for more information on Nutrifiber.